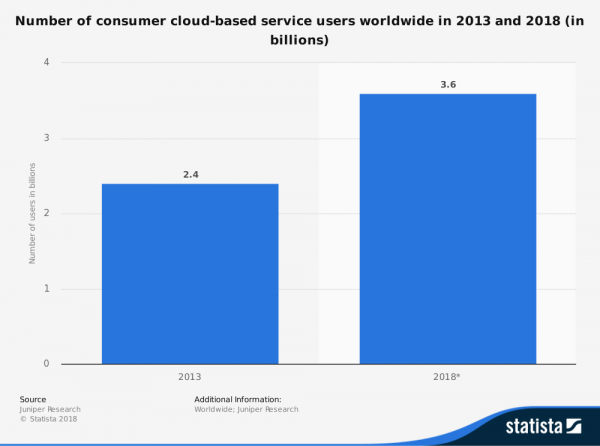 As you can see from the graph on the left, cloud computing is seeing heavy adoption and still growing rapidly. So whether or not you think you utilize cloud computing resources, you probably do. This can be as simple as sharing a document through your Gmail that gets sent through Drive. It can also be as complicated as using an online platform like Azure to develop a new app. Regardless, cloud computing is becoming mainstream and executives should be exploring opportunities to see how it can help their business. Want to Discuss Business Needs?